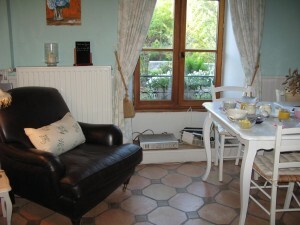 If you are touring France looking for somewhere to stay that has comfortable accommodation and a warm welcome to the wary traveler there are great alternatives to a hotel. 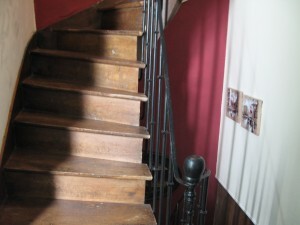 The French grading system of bed and breakfast( Chambre D’Hote ) or self-catering (Gite) takes some beating. 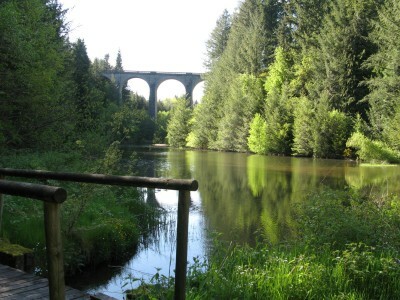 The Moulin Des Farges near Meymac in La Correze district of the Limonsin lies in an excellent class of its own. The water mill set in a hidden valley has been extensively renovated by the owners over the past eight years. Andrew and Georgina Fern opted for a life style change having become jaundiced by their previous careers in retail. Swapping their profit target driven existence with constant head office pressure and the grind of the London commute for the calm of a watermill set in rural Limousin. The only downside; it was a total wreck. Over the years the profits from the Gite have been reinvested to gradually renovate the facility to the current arrangement of five superb double rooms furnished in rural French style. And there plans to carry on; Andrew and Georgina are eying the remaining barn as the next project. Their previous life as managers with Marks and Spencer’s has taught them the way to arrange décor and food fayre with style, although now both are locally sourced. 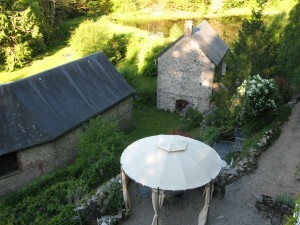 The Moulin Des Farges was discovered after a three year search for their dream location. Nestled in a six acre plot equal energy was required in the building renovations and the landscaping and terracing of the gardens and mill race lake. Whereas most people would be satisfied with a few statues in the garden, hidden out of sight from the house at the end of the lake is a 60 foot high viaduct adding a huge wow factor to the setting. The house is full of original charm, modern plumbing and the considerable enthusiasm of the hosts that made the stay memorable. If you want to test resolve; instead of sending an email confirming your arrival time and requirement for the table d’hote meal send the email by mistake to your drafts file instead! This results in your unexpected appearance with your hosts completely unfazed. The cuisine sampled with the table d’hote meal – made at the drop of a hat “from bits and pieces” and the inclusive breakfast the following morning was excellent. It was a delight to watch the versatility of the team. One minute Andrew had a chain saw in his hand the next scrubbed into a chef’s apron. Not only are Andrew and Georgina excellent chefs they have an excellent selection of music selected to sooth. Typical of their attention to detail – the sound system extends from the dining room to the outside terraces. 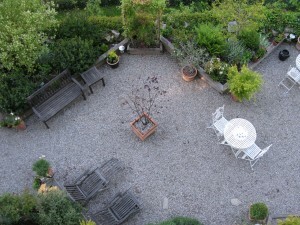 The range of terraces outside, one which includes the swimming pool, demonstrate the attention to the landscaping which has resulted in some delightful gardens and secluded spots. 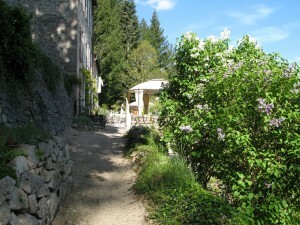 Although the gite is becoming very popular there is always space to withdraw and dream a while. The only drawback was finding the location. It’s about three miles from the centre of the delightful medieval village of Maymac. Off the local tourist map and unknown to our sat nav that was having one of its stroppy days. The hosts are on the case and promised additional signage to encourage the feint hearted who needed directional reassurance especially after a long day . This entry was posted in Reviews and tagged chambre d hote, gite, limousin, Southern France by Alistair Owens. Bookmark the permalink.